﻿ Backpacker 41 Hostel-Taichung (Taiwan) | FROM $11 - SAVE ON AGODA! Have a question for Backpacker 41 Hostel-Taichung? "Near Vietnamsese area, clean, heflfull staff, kitchen, drinking water ." "The facilities was good and thanks to the friendly staff who recommended me some places to explore around the city." "Staff are really helpful too which is also nice." "The building looks modern and is super clean with all the am..."
When visiting Taichung, you'll feel right at home at Backpacker 41 Hostel-Taichung, which offers quality accommodation and great service. Situated only 0.5 km from the city center, guests are well located to enjoy the town's attractions and activities. With its convenient location, the hotel offers easy access to the city's must-see destinations. 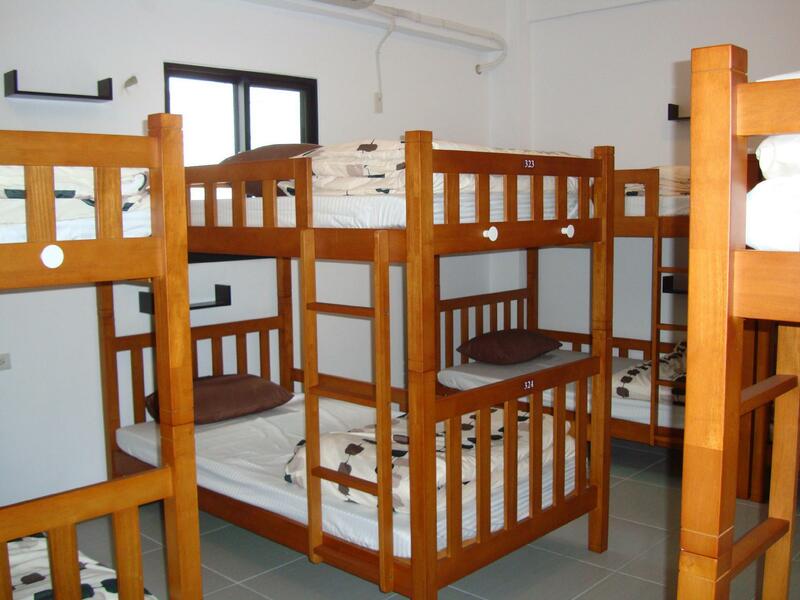 Backpacker 41 Hostel-Taichung offers impeccable service and all the essential amenities to invigorate travelers. To name a few of the hotel's facilities, there are free Wi-Fi in all rooms, facilities for disabled guests, express check-in/check-out, luggage storage, Wi-Fi in public areas. All guest accommodations feature thoughtful amenities to ensure an unparalleled sense of comfort. Besides, the hotel's host of recreational offerings ensures you have plenty to do during your stay. 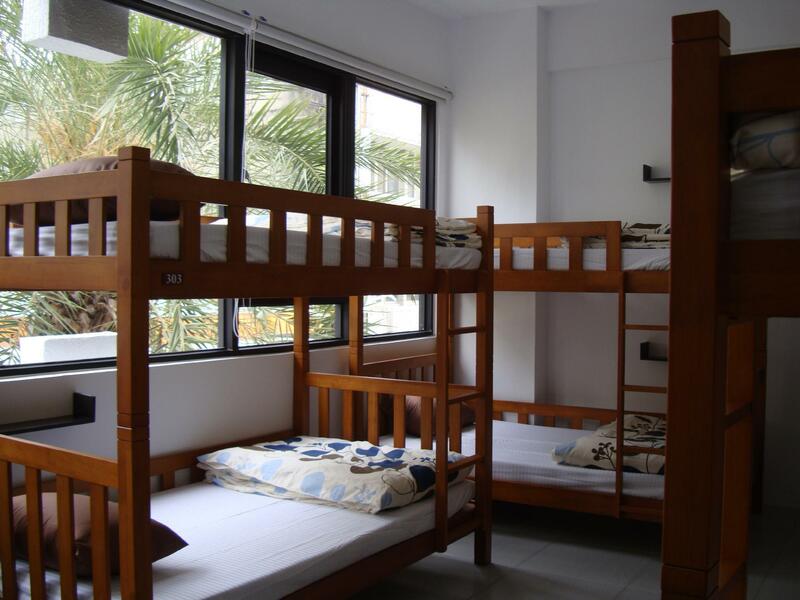 Backpacker 41 Hostel-Taichung is an ideal place of stay for travelers seeking charm, comfort and convenience in Taichung. "Good location easy to find and very close to Miyahara just 5..."
Nice place for stay but I think the hotel should separate between man and woman room floor, especially the shared bathroom. Just feel uncomfortable to share the toilet area together with men. I stayed at Backpacker 41 in Taichung for one night in Feb 2018, in a dorm. All in all it was good. Not exceptional, but decent nonetheless. Reasonable price, comfy, good location. Room was a little noisy, mainly due to the humidifier, but little street noise. Separate floor-level shower cubicles and toilets, never had to queue. It's a big hostel, four floors of rooms, I'd guess about 100 beds total. I'd stay again. room,common area, toilet and shower room are clean and tidy,but toilet and shower room are a bit small.Also room is quite crowdy. Location is convenient for sightseeing and the staff are nice and willing to help. A good exprience in Tai Chung. Very near from Taichung train station walking distance easy to find. Well management & clean rooms. The staff was very helpful to explain everything & allowed me to put baggage after check out. Highly recommend to all of backpackers who going to Taichung this cute hotel. It's really cheap. And the service is good, the environment is clean and the location is convenient. 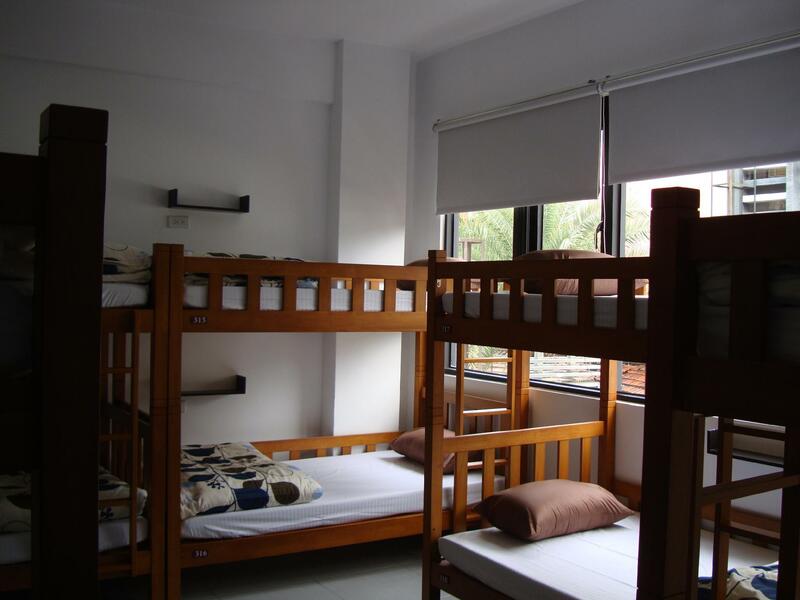 However, sometimes it gets noisy as eight persons are living in a room, and there are no curtains for each bed, which means there is little privacy. Still it's a very good shelter for travelers alone or young. Worth a try. Pretty much enjoyed my stayed at this hostel. The facilities was good and thanks to the friendly staff who recommended me some places to explore around the city. Would definitely recommend my friends to stay when they visited TaiChung next time! Here is close to Taichung station about 10minutes on foot. Also the famous spot "Miyahara" is near here. Staff can speak Chinese,English and Japanese fluently. The guest house mates were so noisy and there were many night persons so I could not sleep well but here was good guest house. They do not prepare towels and tooth brush so you have to bring it. I recomend here for backpackers. We stayed for two nights. It is close to the main train station and bus terminal. Quite far from the Rainbow Village and the main night market (although there is a smaller night market very close by). Very helpful staff. Likeable hostel, with some drawbacks. Could do with a more comfortable communal area. Shower block can get a bit dirty at times. Staff can be a little officious, but generally pleasant if businesslike. The location is pretty good and staff are nice and helpful! Got most of the things that we needed (slippers, lockers, hair dryer, shampoo and shower gel, maps, kitchen, internet) It's about 15mins away from night markets and a few mins walk to the bus station (to markets and/or airport). Value for money if you are solo traveler looking for a bed. The hostel is nearby train station. You can easy to take bus service in Taichung which free charge within 10km in city if you have "youyou card" . I only stayed here for one night but I will definitely stay again the next time that I visit Taichung. It has a very good location, close to the railway and bus stations, but it's a little tricky to find due to the sign being on the small side and blending in with the ones around it. Staff was helpful, and the rooms were nice and clean. The lack of some kind of screen/curtain around the bunks were very inconvenient though, if you want to stay up and read or sleep before the other occupants it's not possible to do so. The light showing the door's location also kept me up during the night because of that so I recommend bringing a sleep mask if you're sensitive to light. Showers are decently a sized stall but it's a little tricky maneuvering your towel and change of clothes without getting them wet. Overall though I highly recommend this hostel. beautiful and roomy common area. stuff are very nice and kind ! especially the location is wonderful and which ever directions, there will be bus station all around the guest house. I will definitely come back !!! Great location, close to Taichung station and great vibe all round at the hostel. I really liked the cafe/lobby! it is my usual practice to stay here as the transfer to other sightseeing spots.